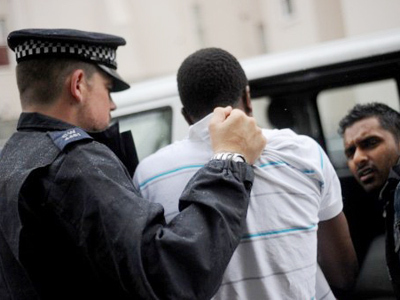 In 2011, the UK saw a level of violence it hadn’t seen for years. The death of a 29-year old black man in London sparked four days of rioting and looting that resulted in at least five deaths and caused about £200 million worth of damage. The violence started after police gunned down 29-year old Mark Duggan in Tottenham, North London, allegedly in self-defense. However, Duggan’s death served as a mere pretext for the chronically frustrated, unemployed youths, whose relations with the police could be best described as tense. RT’s London correspondent Laura Smith witnessed the events first hand. She says the police were largely helpless in trying to stop the looting and most politicians were on vacation. It was only on August 10 that the police managed to get a grip on the situation and put an end to the violence. The protests started peacefully, with friends and relatives of Duggan gathering outside the police station to discuss the incident with senior police officers. However, after their demands were not met and rumors of a 16-year old girl being beaten by the police were spread, another group of angry protesters turned to violence. 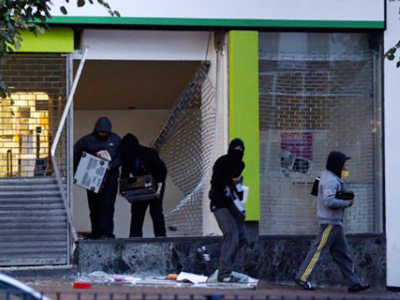 The Tottenham rioters and looters robbed several shops and set fire to a number of buildings and vehicles, including police cars and a double-decker bus. A BBC news crew van was also struck by missiles thrown by a group of rioters. 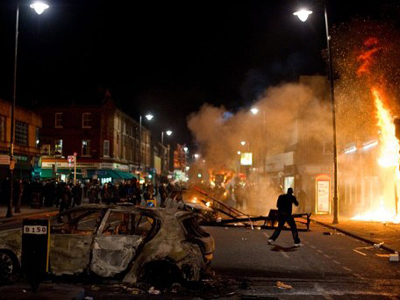 The following day rioting and looting spread to other parts of London, including Enfield, Brixton and Wood Green. Police cars were pelted with bricks, electronics, jewelry and games shops were looted and several policemen were injured in skirmishes with rioters or looters. In some cases, however, police did not intervene and local shop owners were forced to form protection groups around their shops. 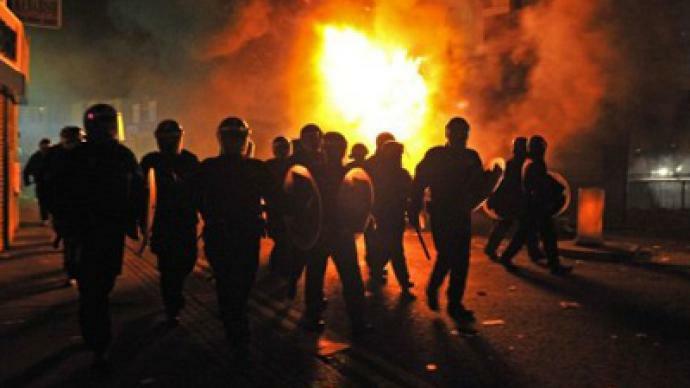 Over the next three days violence spread all over the country, with Leeds, Bristol, Liverpool, Birmingham, Manchester and many other towns and cities hit by looting and rioting. A 68-year old man was killed in the London borough of Ealing and three young men were lost their lives in Birmingham. 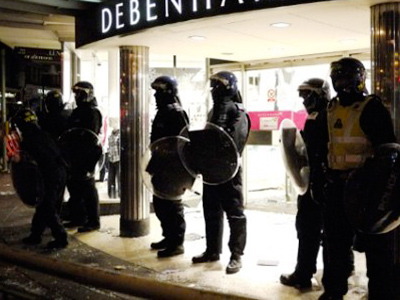 In London a group of citizens formed their own vigilante groups but some of these themselves clashed with police. The violence prompted parliament to cut short its summer recess while Prime Minister David Cameron criticized the inadequacy of the police response, calling it too timid and too slow. More than 2000 people were arrested in the following days. Some of the arrests were made for inciting violence online – on popular social networking sites such as Facebook and Twitter. 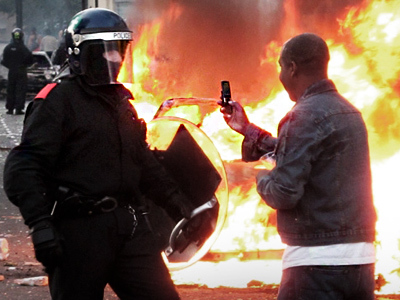 David Cameron even said his government was considering limiting the use of social media and texting during riots so as to curb the spread the violence. Such a proposal came under heavy criticism from civil rights groups, who said that millions of innocent people would be affected by the state’s attempt to extend its control over the Internet. The riots were not the only protest movement to hit London. In March, up to 500,000 people took to the streets to voice their opposition against government spending cuts. Later in the year, in October, protesters established encampments next to St. Paul’s Cathedral as part of the Occupy London movement against social injustice and corporate greed, which, the protesters claimed, pervades the economy of the world. Meanwhile, November saw a public-sector strike against the government’s plans to reform the pension system.